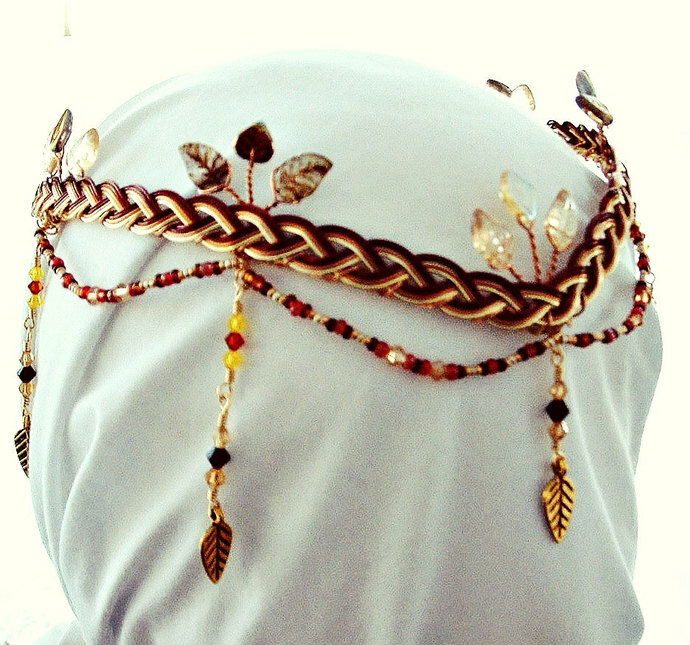 A regal elven wedding headdress circlet with a Celtic weave base in autumn gold, red and copper. 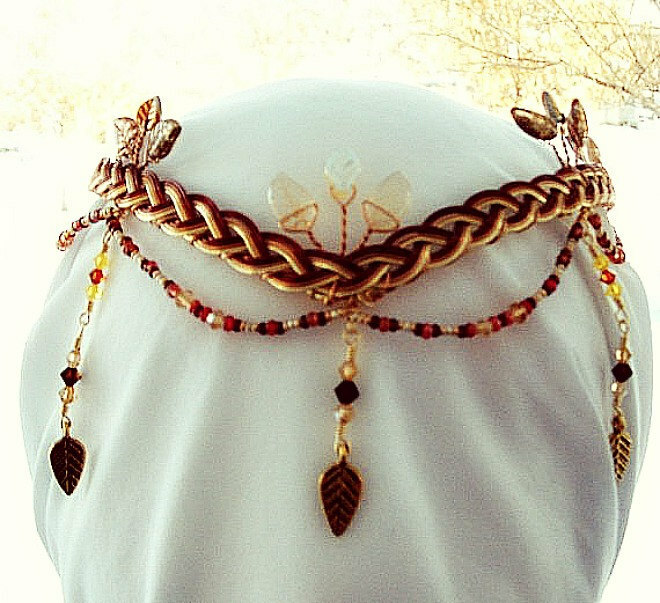 Perfect for a fall wedding or Renaissance garb ensemble. Celebrian was the mother of Arwen in the Lord of the Rings tales, wife of Elrond, and the daughter of Celeborn and Galadriel. 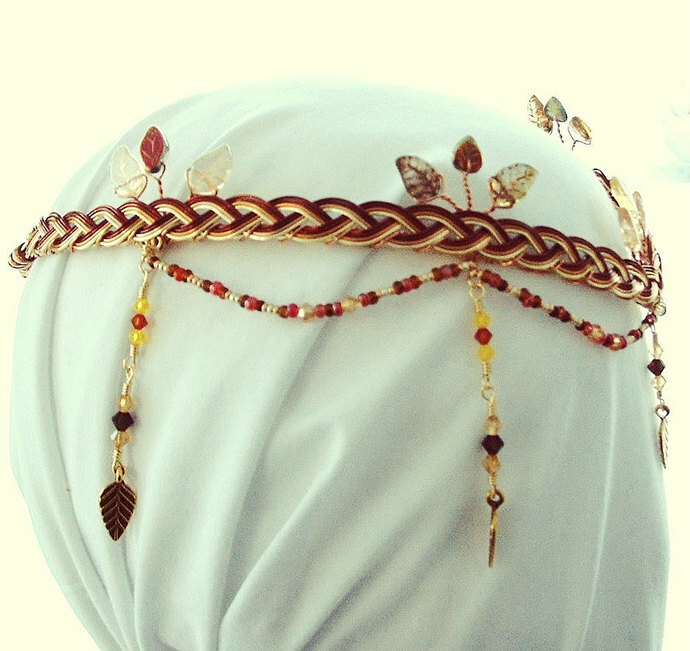 Graduated autumn 4 color circlet weave. 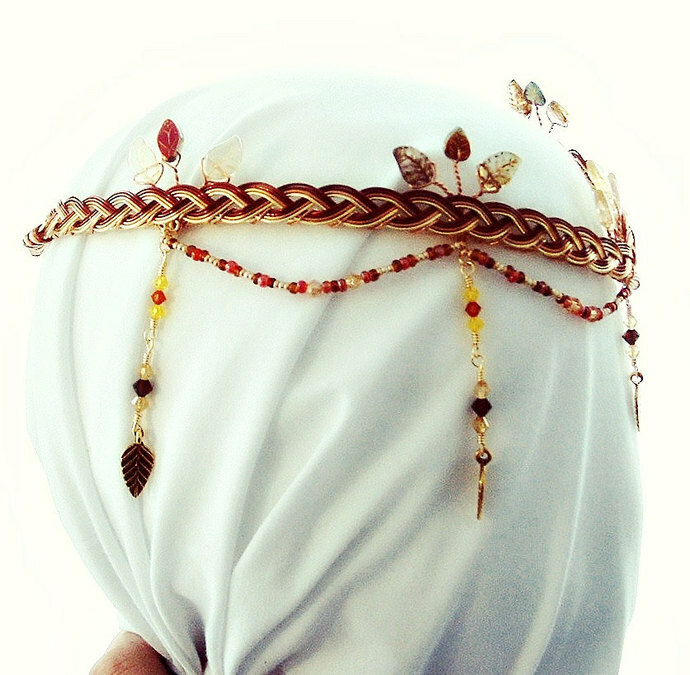 Four stiff bead strands hang below, with five swarovski crystal dangles. 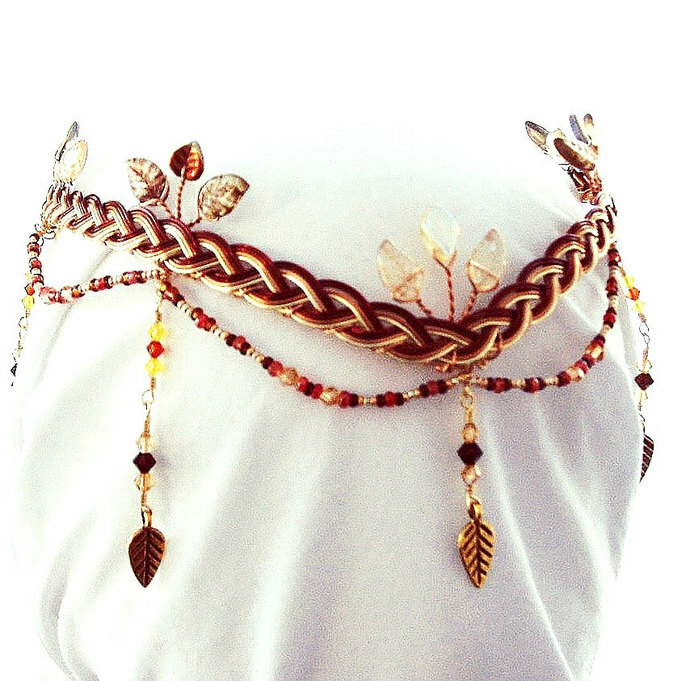 Five leaf clusters rise from behind the celtic weave.